Description: The troop webmaster is responsible for maintaining the troop’s website. He should make sure that information posted on the website is correct and up to date and that members’ and leaders’ privacy is protected. A member of the troop committee may assist him with his work. You will be required to have a parent or guardian work with you directly in this position, to ensure the website is properly updated and maintained. Training: Learn to update and publish website pages effectively. 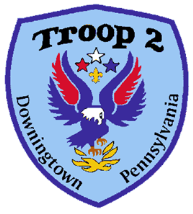 Attendance: You are expected to attend 70% of all troop meetings and Patrol Leaders’ Council meetings. If your attendance is low, or if you have three (3) unexcused absences in a row, you can be removed from office. Perform any additional duties as assigned by your parent advisor.